An enthusiastic HR professional with a passion for developing the potential of people to drive business success. 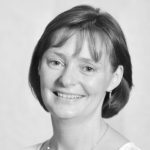 Noreen has worked in senior HR roles in services, retail and manufacturing sectors and gained a broad range of experience working with multinationals, not-for-profit and small business whilst continuing ongoing professional development. Owner and Managing Consultant at People Matters, Noreen works with companies to develop an HR strategy which maximises the contribution of people resources in achieving business goals through people development, employee engagement and best practice HR policies.